Paul Cézanne's The François Zola Dam, ca. 1877-78. Miss Gwendoline E. Davies Bequest, 1951. Gwendoline and Margaret Davies would never marry, would never know traditional romantic love. Their calling was higher and their passion enduring. And now Washington is benefiting from their community service. They were daughters of wealth who felt an obligation to do something good with their money. So they wandered the Bohemian world of late 19th century art and started buying up the works of some of the most exciting artists of their time. Now their collection has arrived at the Corcoran Museum of Art thanks to a generous partnership from the National Museum of Wales. The Davies Collection has arrived at the Corcoran Museum of Art thanks to a generous partnership from the National Museum of Wales. You'll see Renoir's La Parisienne, known as the "Mona Lisa" of the 19th Century. Van Gogh's final painting will also be there. It was found on the easel in his room the day they discovered his body. 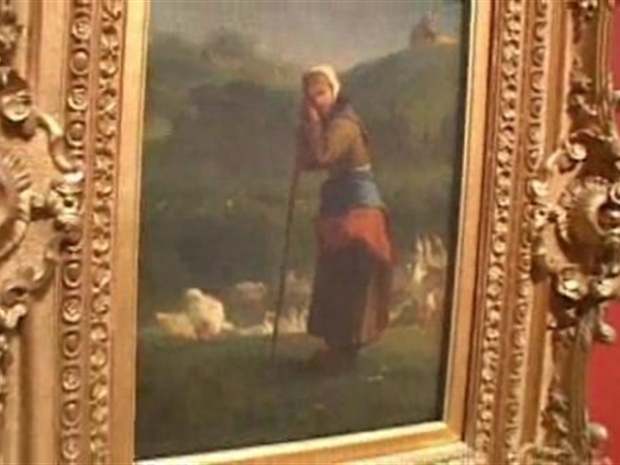 And Cezanne's Zola Dam is part of the exhibit too. It's a landscape of intense pigment and hues ignited by brilliant sunshine. These works have never been seen in the United States before. Sure, you've seen them in publications, but have never been able to gaze upon them in an American gallery until now. The Davies sisters believed that art must be shared with the masses. And had an almost religious sense of duty in making their connection. This exhibit is their legacy. The National Museum of Wales is fulfilling their mandate by allowing this collection to now tour the world. It's titled, "Turner to Cezanne: Masterpieces from the Davies Collection, National Museum of Wales." Fifty works of art on display at the Corcoran Gallery of Art through April 25th.